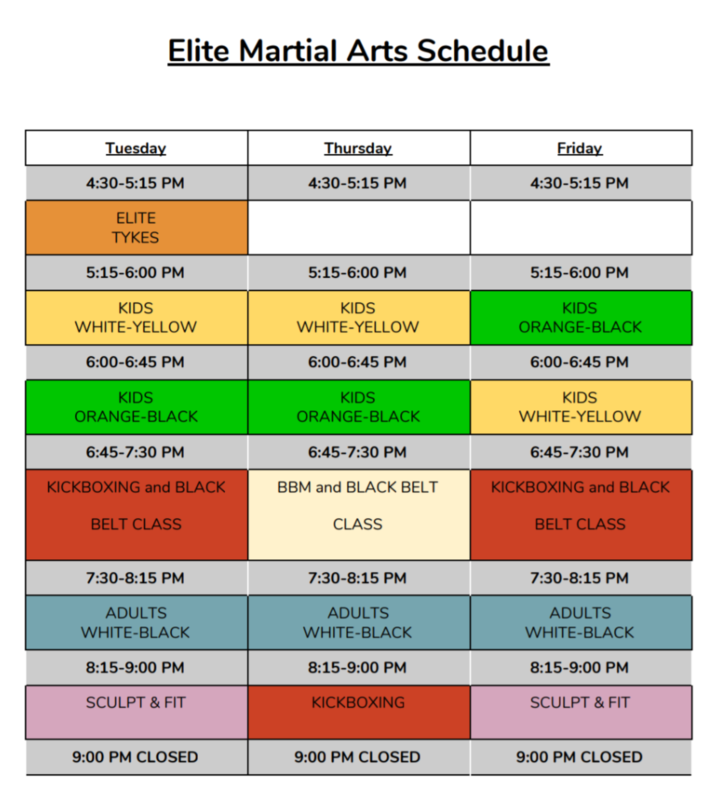 Welcome to Elite Martial Arts & Fitness! What is the Shomen Wall? My name is Guy Ouellette and I am the director and founder of Elite Martial Arts and Fitness Centre. I would like to take this opportunity to briefly inform you about our dojo and myself. I began studying martial arts at the age of six. The first martial art I studied was judo, which I trained in for 13 years. After judo, I decided to practice karate where I properly learnt how to kick and punch. I found the combination of judo and karate very complimentary: judo taught me the art of break falling as well as throwing skills, grappling techniques, and other ground fighting techniques while karate taught me stand-up self-defense tactics along with kicking and punching combinations. Both martial arts were very explosive and acted as cathartic means of reducing stress. My judo and karate training help me physically and mentally while I played competitive minor, junior, and varsity hockey. For example, both martial arts helped me to develop excellent balance, core strength, explosive power, and focus. I have been teaching martial arts and fitness professionally since 1993 in the Orleans area. In those years, I have worked very hard at creating a martial arts studio with a karate, kickboxing, and fitness program that is suitable for everyone while maintaining a high standard of quality in the techniques and training. In addition to this, I continuously strive to ensure that the students are having fun, learning about fitness, and practicing self-defense in a safe environment. Beyond the dojo, I have maintained a gruelling pace and I’m actively involved in promoting fitness and well-being throughout the community. Since 2001, I have assisted Ottawa Senators Conditioning Coach, Chris Schwarz, in the off-ice preparation, testing of professional NHL athletes and help them revise their on-ice combative skills. I have also been an enthusiastic promoter of the fitness and athletic development of children throughout the region. As part of the curriculum in a number of Ottawa area high schools, I have provided programs for anti-bullying and self-defense, enhanced conditioning, and sports training. Large corporations, such as Bell Canada, have also engaged me to provide interactive fitness training and conditioning for their employees. I competed for Canada at the world championships in amateur point kickboxing from 1995 to 2001. In those years I was honoured to be the team captain and assistant coach. I got the chance to compete against some great competitors and had the opportunity to compete in countries and cities like Germany (1995 & 1999), Prague (1996), Ireland (1997 & 2000), Toronto (1998), Spain (1999), Kentucky (2000), as well as Vienna and Klagenfurt, Austria (2001). Once retired, I became one of the head coach’s for Team Canada and successfully coached many athletes who received a gold medal in Pisa, Italy in 2002. Soon after this, I decided to go one step further and went to Venice Italy to become certified in referring amateur point kickboxing, light contact kickboxing, and full contact kickboxing. 1996 Canadian Light Heavy Weight Champion. 1997 Ireland (W.K.A) World Champion. 1998 Bronze Medal at the Canadian Championships. 1999 Canadian Light Heavy Weight Champion. 2000 Silver Medal at the Canadian Championships. 2000 Ireland (I.A.K.S.A) World Champion. 2001 Canadian Light Heavy Weight Champion. 2001 Austria (W.K.A) Men’s Team World Champions. 6 Time Judo Ontario winner. First place at the Ontario Judo Jr. Olympics. Bronze Medal in Judo, at the Ontario Winter Games. Bronze Medal at the Provincial Judo Championships in Dryden, Ontario. Ottawa Karate Athlete of the Year in 2000. Kids White- Yellow at 5:15 p.m. Kids Orange-Black at 6:00 p.m.
Kickboxing & Black Belt 6:45 p.m.
Sculpt & Fit 8:15 p.m. Kids Orange – Black at 5:15 p.m. Kids White – Yellow at 6:00 p.m.
We are excited to announce that our dojo is now located at 1171 Smith Road, Navan, ON K4B 1N7. My goal is to become the best person that I can be. Working to overcome obstacles that hinder my positive growth. I know this will take discipline; I am ready to make this commitment to myself in order to become the best person I can be and to share this progress with others.